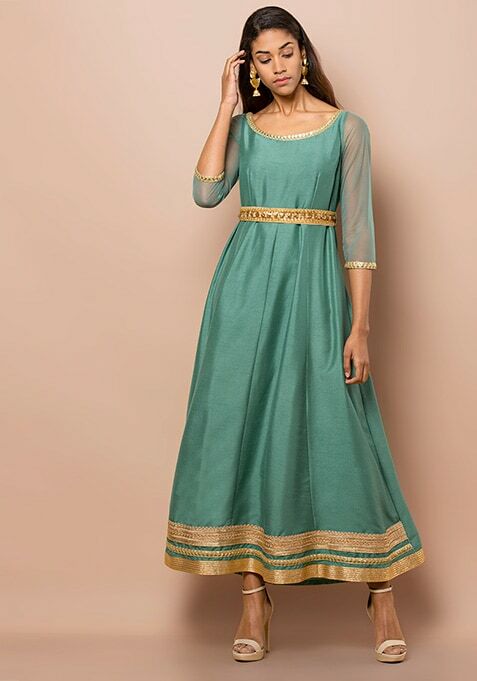 Inspired from the Mughal silhouettes, this jade tunic is exquisitely crafted to give you an every bit royal look. Features pleasantly decorated neckline, hem and a waist belt to ensure a perfect fit. Work It: Exude elegance and simplicity by teaming this tunic with a mesh dupatta.